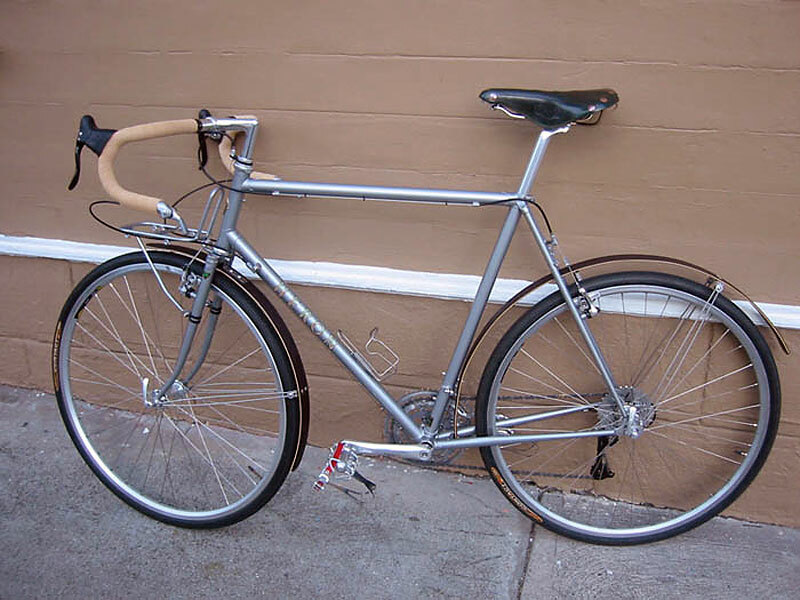 I'm a big fan of your site(s), not only for the 'cross photos, but also for the 'current classics' - so I'm excited to finally be attaching two pics of my recently-built Heron Touring. 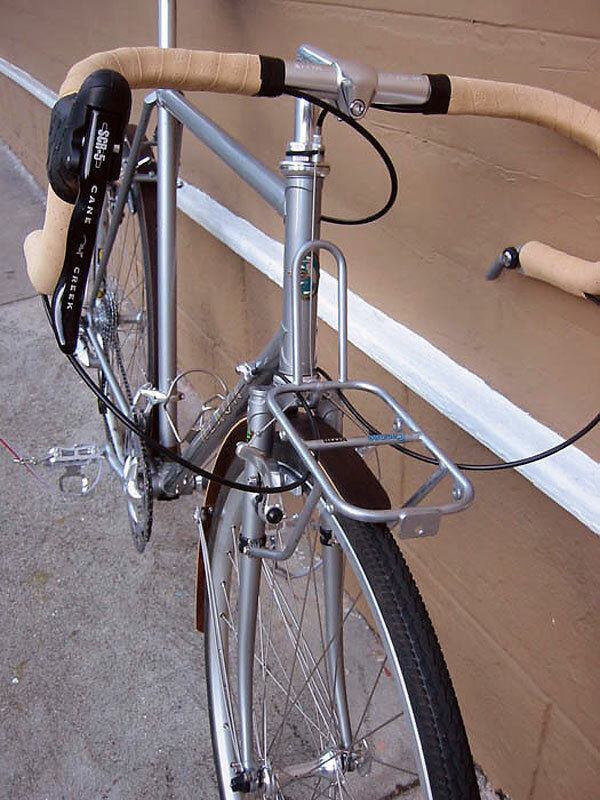 I bought it from a friend who originally picked it up at Rivendell HQ about 5 or so years ago (maybe more - I haven't looked at the serial # yet); he built it and rode it for a while, but never really fell in love with it. The frame hung on his wall for a few years before he sold it to me. This built probably won't stay the same for a year, but for now I'm happy with it. Looking to put some camping and touring miles on it this summer in Northern California. Shimano mix - Ultegra crank and bb, 36h 105 hubs laced to Mavic A719s, LX rear derailleur, cassette, shifters, low-end brakes - with Nitto seatpost, front rack, stem, and bars, MKS roadie pedals. Hope these photos are okay. Thanks again for your sites! Hope to see you out on the road sometime.